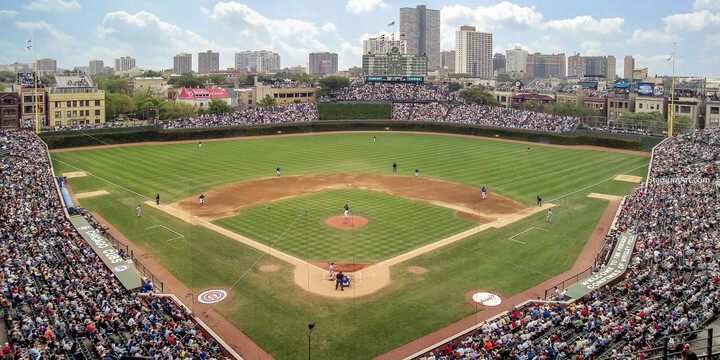 Chicago Cubs play baseball at Wrigley Field in Chicago Illinois. Legends of the Chicago Cubs include Ron Santo, Ernie Banks, Ryne Sandberg, Billy Williams, Fergie Jenkins, Mark Grace and Sammy Sosa. The fine art photos are available in various sizes including 11x14 photo, 13x19 print, 8x10 image and 40x30 canvas frame.